Two foreign nationals whose applications for indefinite leave to remain in the United Kingdom were refused because of discrepancies in their declared earnings have successfully challenged the decisions. A judge in the Court of Session ruled that the conclusion reached in both cases by the Home Office that the petitioners had acted dishonestly, despite their claims that the errors were the result of oversight, was “unreasonable”. Lord Tyre heard that the petitioner in the first case, Nigerian national Collins Oji, along with his wife Ishoma Oji, was seeking indefinite leave to remain (ILR) having accumulated five years’ lawful residence in the UK as a tier 1 General Migrant. The petitioner in the second case, Russell Dadzie, a national of Ghana, had also accumulated five years’ lawful residence in the UK as a Tier 1 General Migrant and had applied for ILR alongside his partner Rhoda Parker-Wilson. However, the petitioners’ applications in both cases were refused, in terms of paragraph 322(5) of the Immigration Rules, on the basis that in light of their character and conduct the Secretary of State for the Home Department considered that it would “undesirable” to allow them to remain in the UK. The respondent’s conclusions were based on the findings that the petitioners had, during the period when they had leave to remain (LTR), declared different amounts of income to HM Revenue and Customs (HMRC) and to UK Visas and Immigration (UKVI) respectively. Accordingly, due to the discrepancies the petitioners had not proved what earnings they genuinely had during the previous 12 months, which resulted in them being treated as having no earnings, and therefore as having insufficient points to qualify for ILR. After their requests for administrative review of the respondent’s decisions were refused, the petitioners raised judicial review proceedings seeking reduction of the decisions. The petitioners, who had both subsequently corrected their tax returns, submitted that, on an ordinary and correct reading of the Immigration Rules, their conduct did not meet the threshold of seriousness. In any event, an incorrect return did not per se establish an intent to deceive and the respondent had failed to prove wrongdoing on the part of the petitioners. It was also argued that the decision was “procedurally unfair” because the petitioners had not been given the opportunity to respond to the allegations of wrongdoing before the decision was reached, and accordingly the respondent had not been entitled to conclude that it was undesirable to grant ILR. Allowing the petitions, the judge ruled that the decisions were “unreasonable”. The two decision letters set out, in turn, (i) the earnings claimed by the petitioner in the preceding 12 months; (ii) the self-employee earnings claimed by the petitioner in a previous application to UKVI; and (iii) the lower self-employed earnings declared to HMRC for a similar period. On the foregoing basis, the writers of the letters concluded that the petitioners had “intentionally misrepresented” their earnings to either HMRC or UKVI. 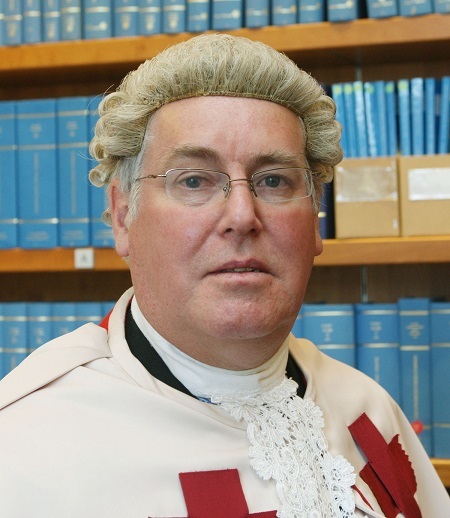 Lord Tyre’s opinion in the Dadzie case continued: “In my opinion the mere fact that different amounts were declared to HMRC and to UKVI for one particular period did not constitute a sufficient basis for the conclusion that the petitioner had acted dishonestly and that it was accordingly undesirable to grant him permission to remain.